The orchestra performs several concerts throughout the year, performs at two adjudicated festivals and their end of the year Pops Concert. 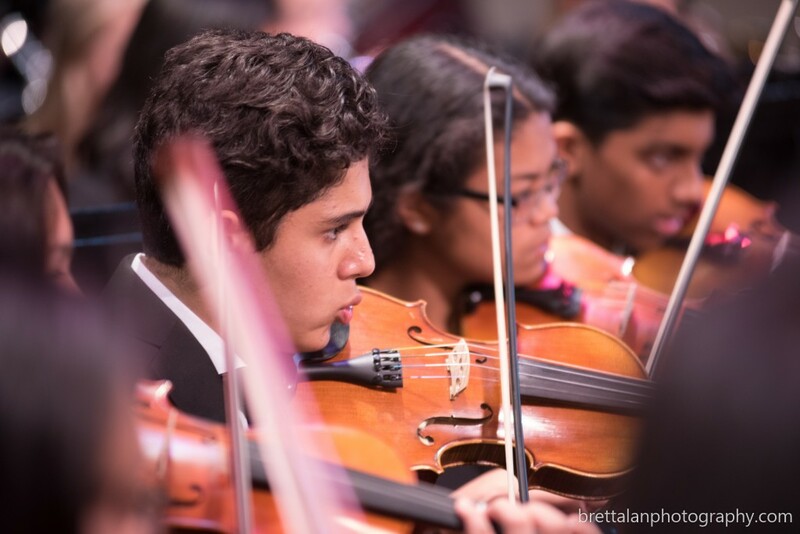 Many of our top string players will also be given the opportunity to perform in some of the school’s advanced ensembles and the musical during the Spring. The full orchestra meets Tuesday evenings during trimesters 2 and 3 at 6:30 PM to 8:00 PM in the music building. This is where the full ensemble will work on putting all parts together on their major works for festivals and concerts.